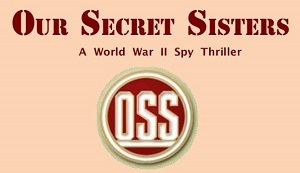 “Our Secret Sisters” is loosely based on the true stories of Elisabeth McIntosh who served as a spy during World War Two. McIntosh died in 2015 at the age of 100; The broadcast will be dedicated to her. The WGTD Radio theater is currently in its 14th season. To date, the WGTD Radio Theater has won 12 Wisconsin Broadcasters Awards and is nominated for even more in 2018.